I have just spent the weekend in Wales, testing my newly acquired Tex. 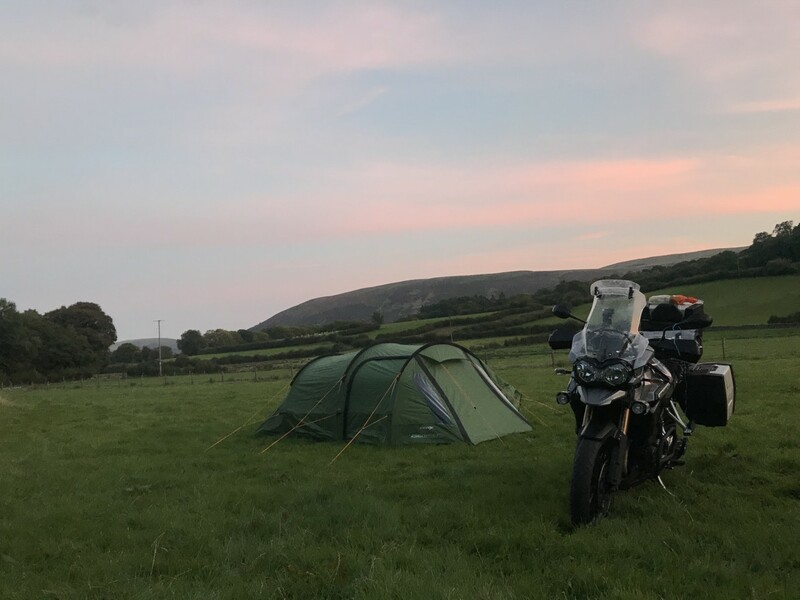 I gues that we don't have many good weekends for camping left, so I wanted to have a go and see what I can manage on the Tiger, comparing to my last motorcycle, the Honda CBF 1000 GT. I set off saturday afternoon heading for the Elan Valley and a nearly wild campsite. I was set up an hour before dark so made good time, although travelling west with a setting sun provided a challenge. I found the recommended 10 clicks of preload worked well. The Tex felt good and easily carried the 40Kg of camping equipment as I had packed a weeks worth of supplies rather than just what I needed for the night. I wanted to see how the bike would work for me on a touring holiday. 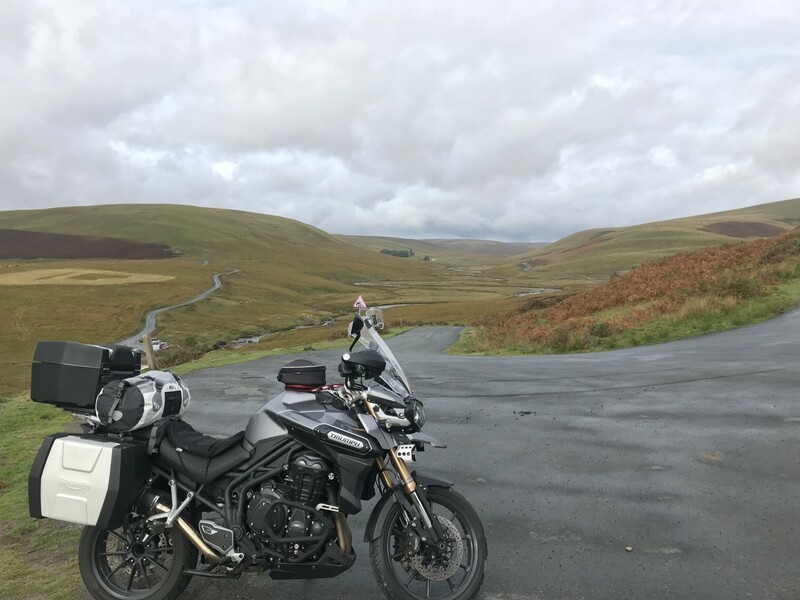 I travelled through the Elan Valley to Aberystwyth in time for lunch and thn started the long ride back to Lincoln, over 250 miles covered today. Although I am 15L down on storage capacity compared with the CBF, I feel that I can manage most of my camping trips with my current setup as a comfortable minimalist. In addition to the standard 3 piece Triumph luggage I have a 30L Oxford tail pack (containing Vango Omega 350 and additional waterproofs) and a Givi 4L tank pack (containing first aid, tyre inflator small items). I have a Quadlock mount for my iphone and use the TomTom app for navigation which I can listen to through my Sena headset. Playing music through Spotify helps with dual carriageways and motorways if I can't avoid them. 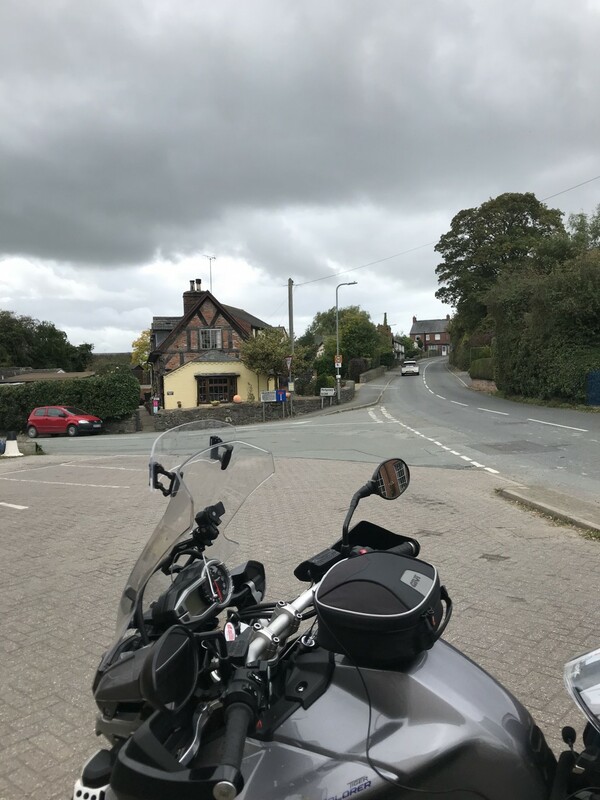 I used my TouraTechs air cushion as I knew I would be covering many miles and it certainly helped, you can even feel the heated seat although it takes longer to feel the benefit especially when the seat is cold and damp in the early morning.